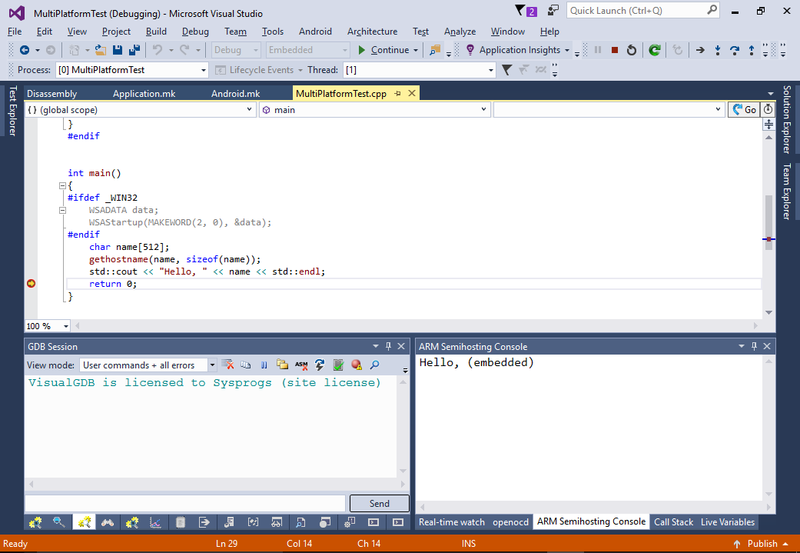 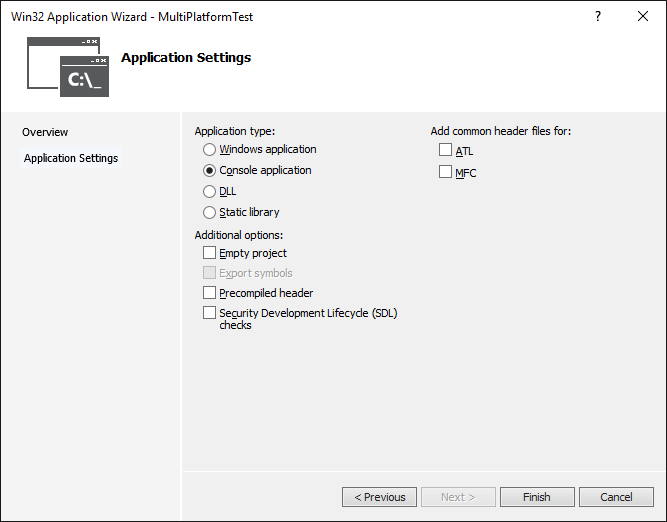 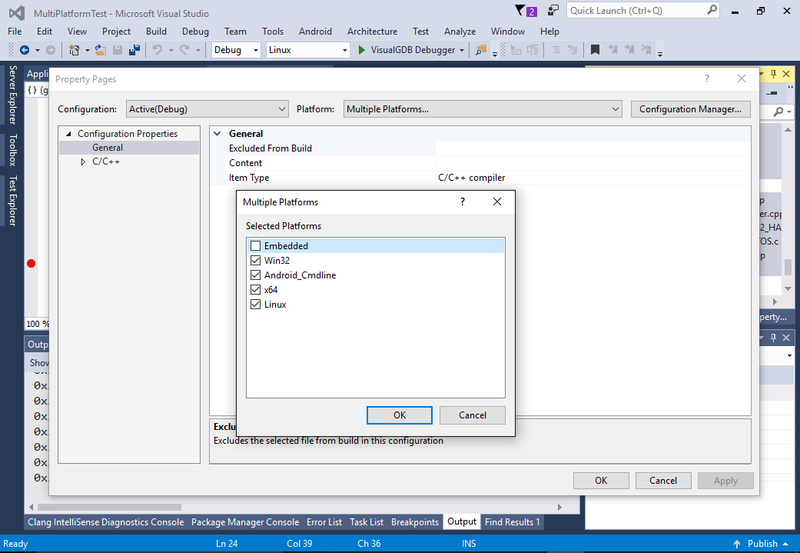 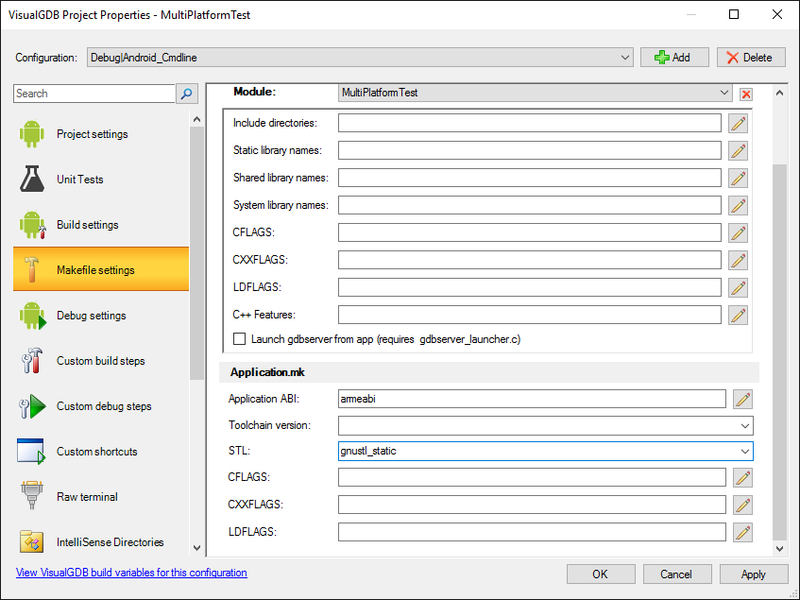 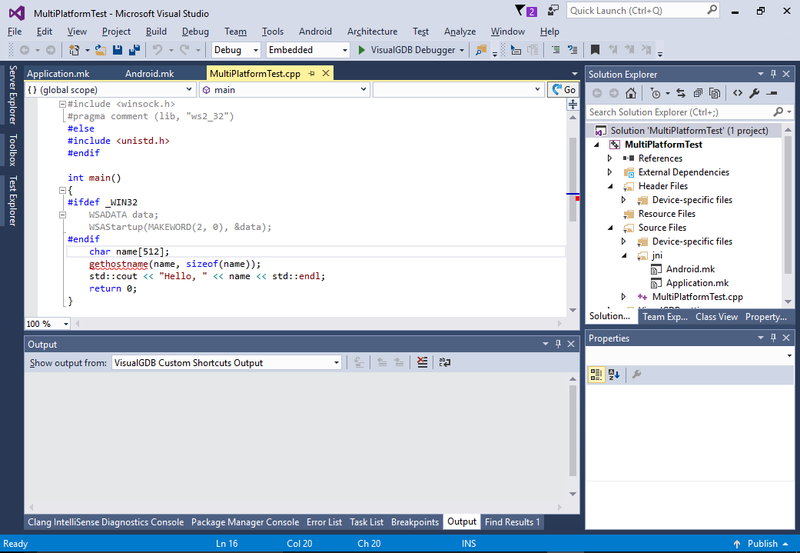 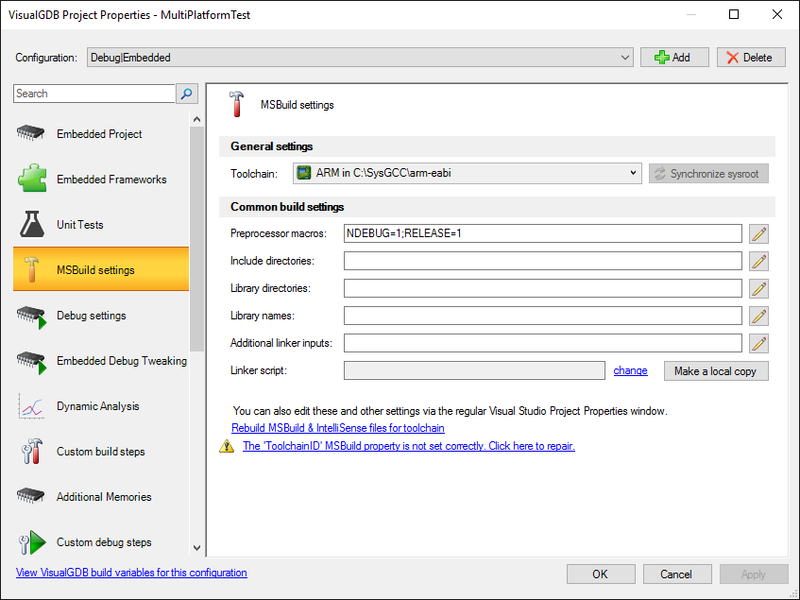 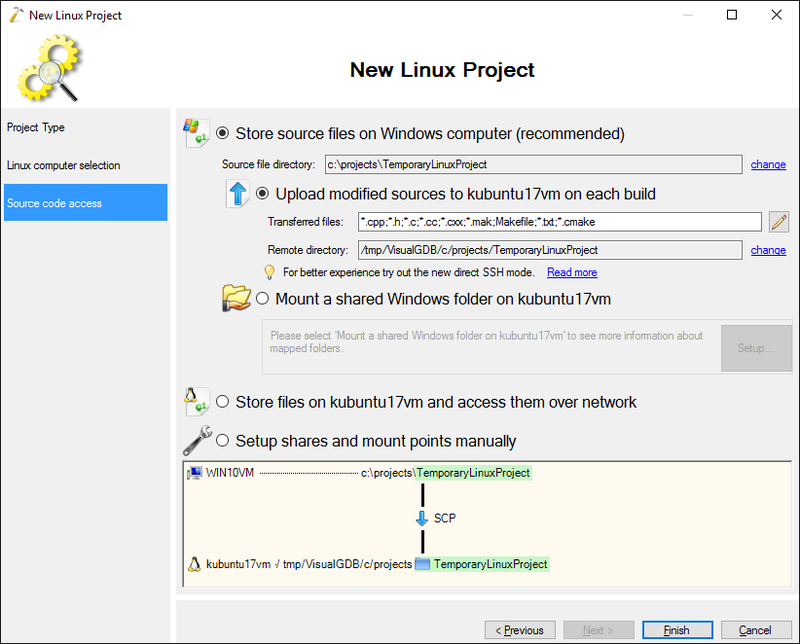 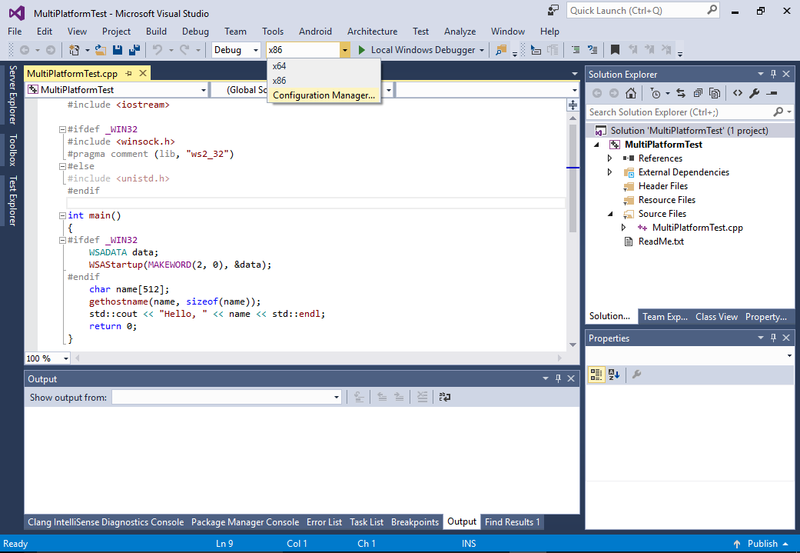 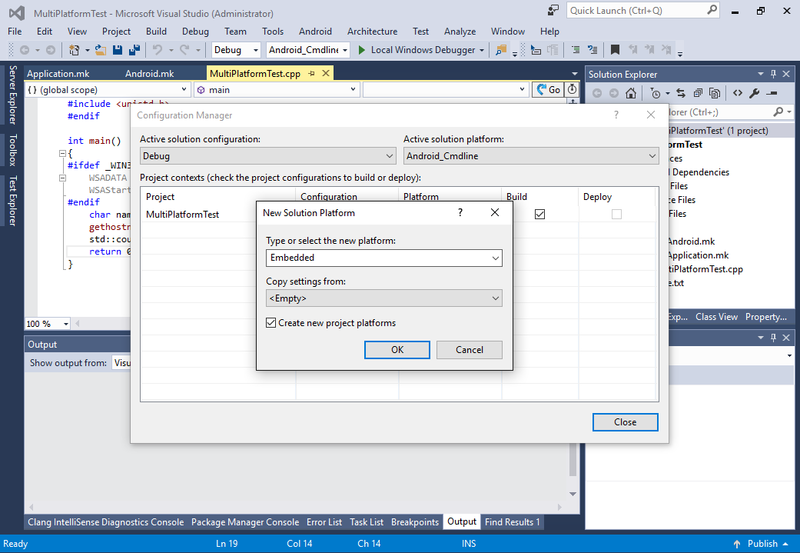 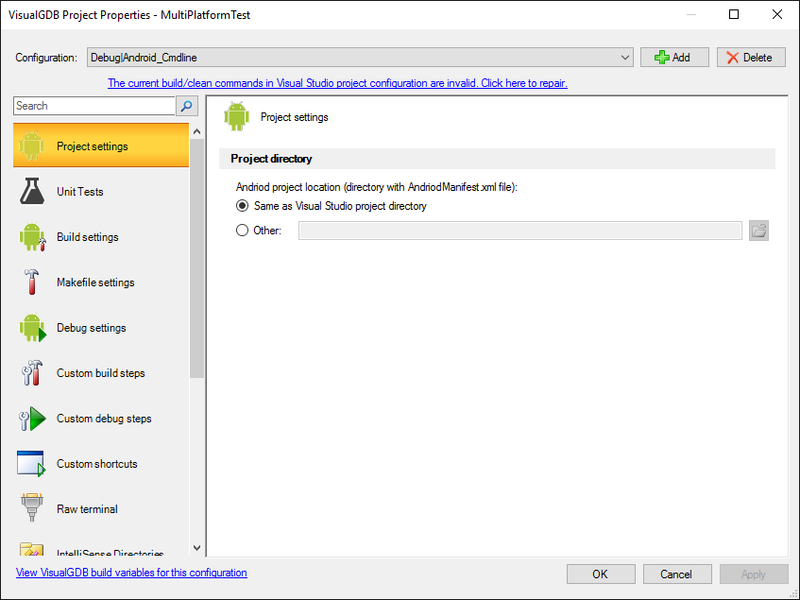 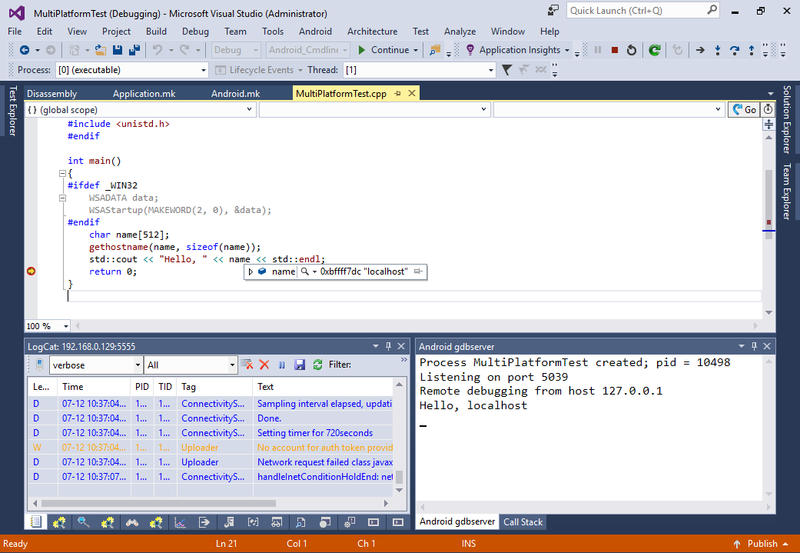 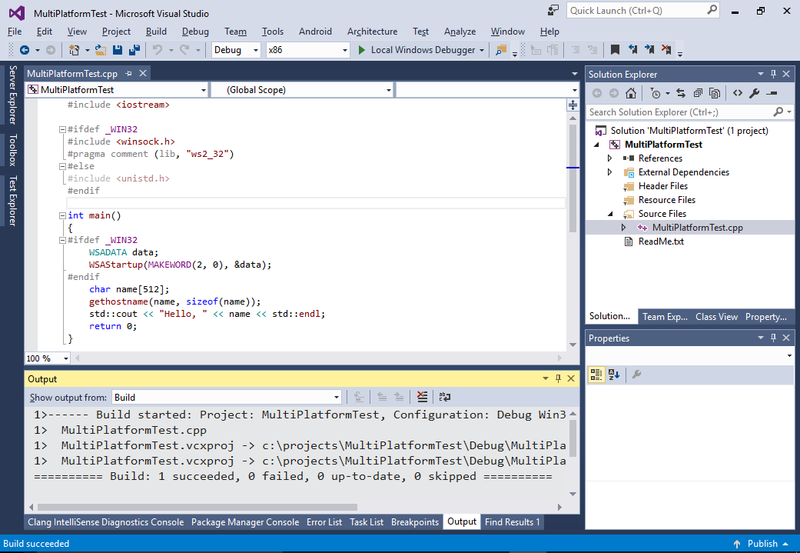 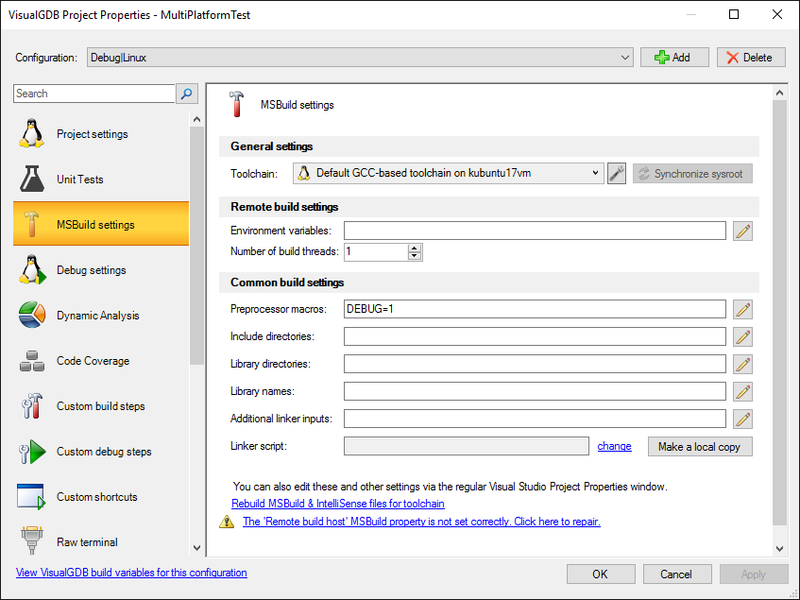 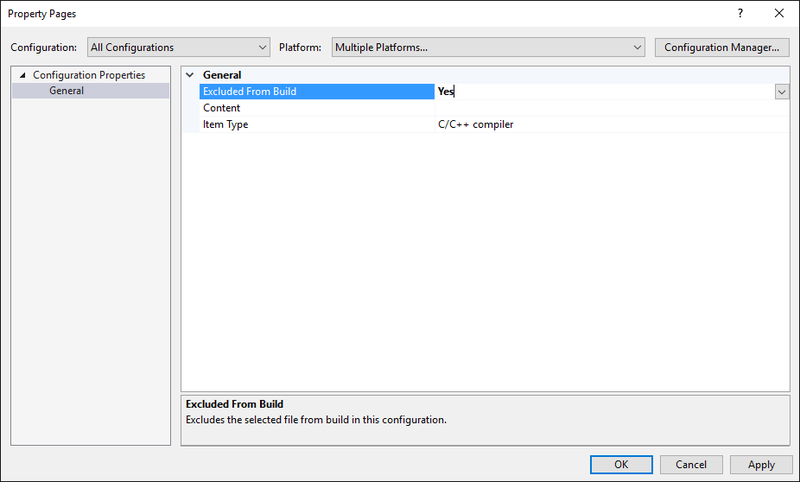 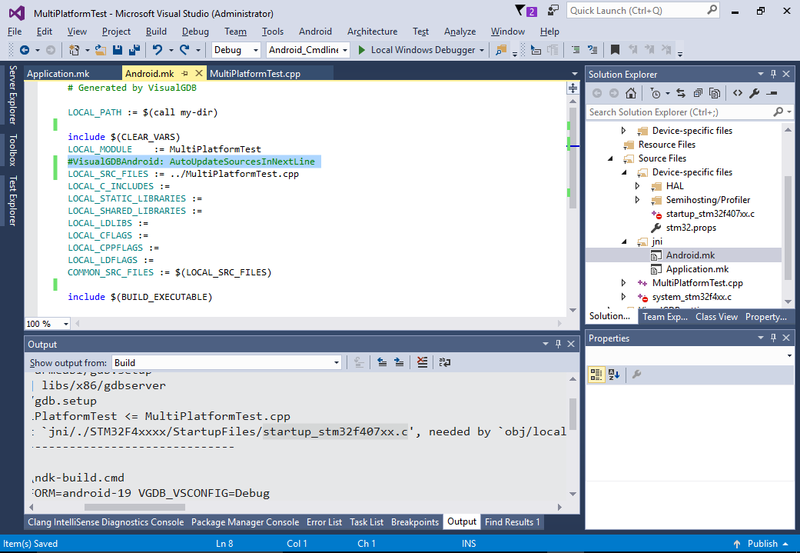 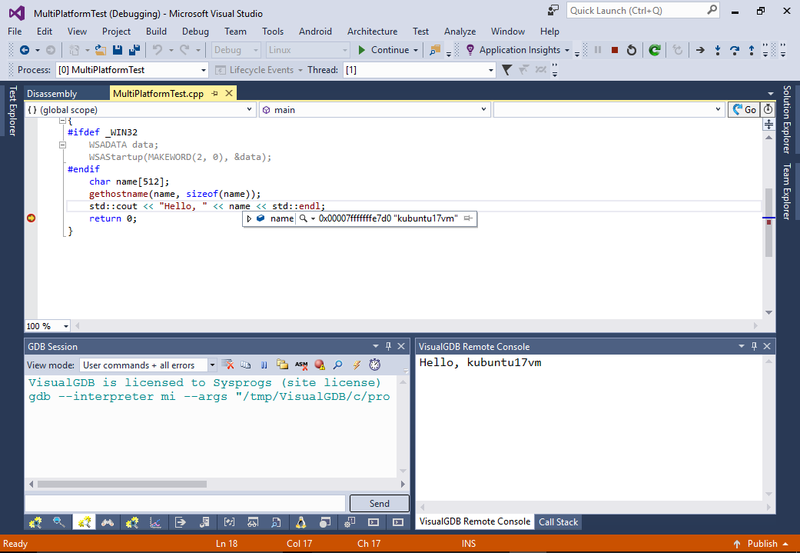 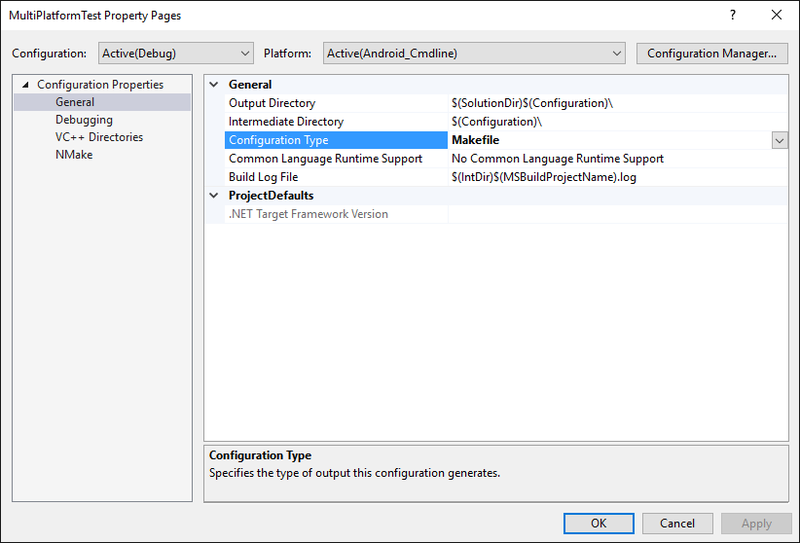 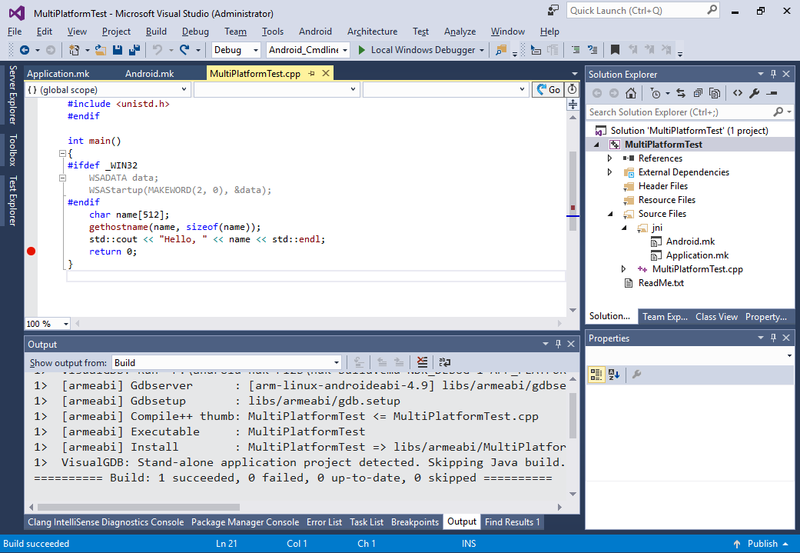 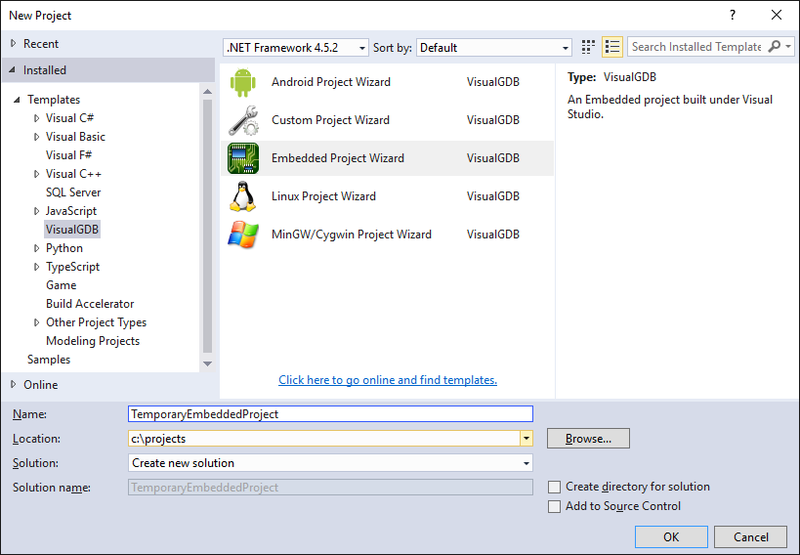 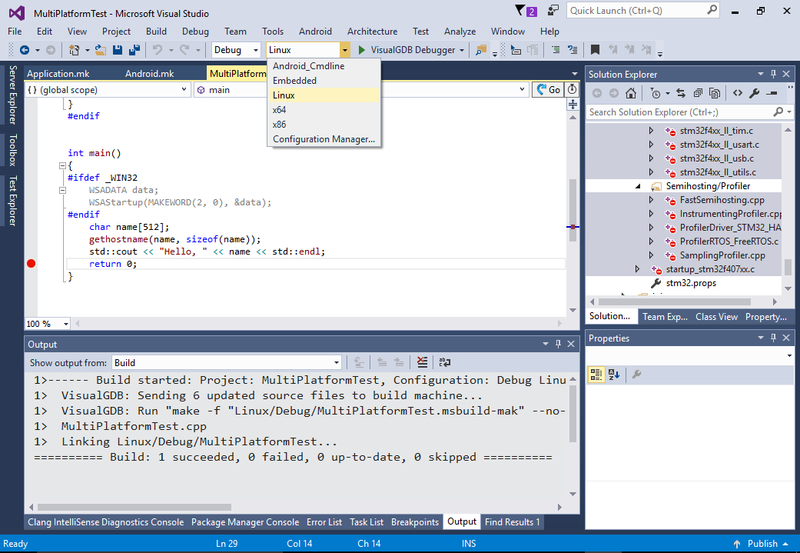 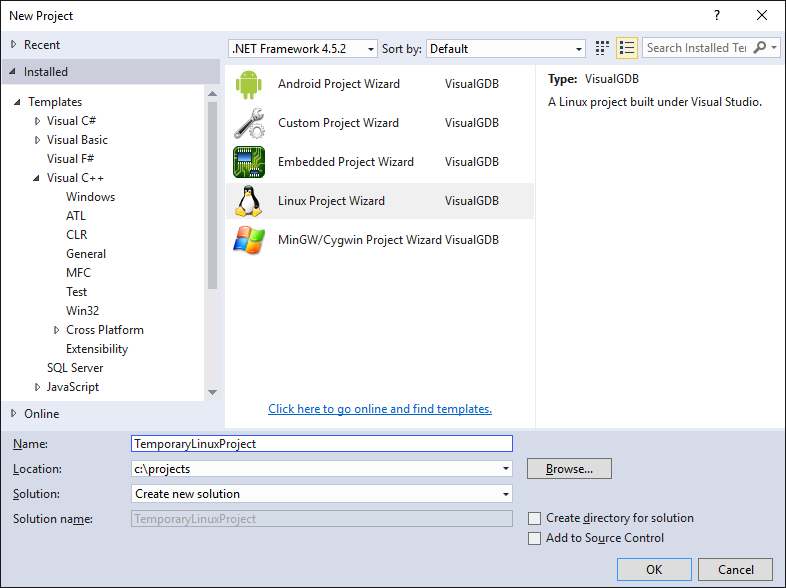 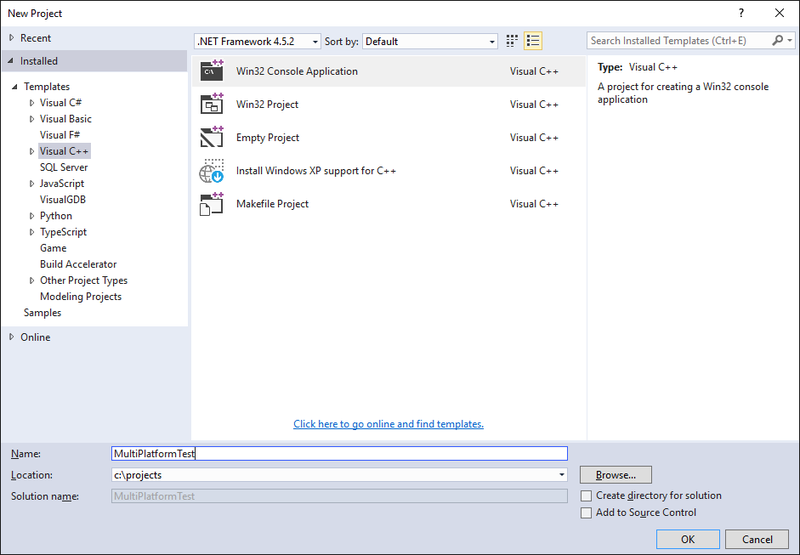 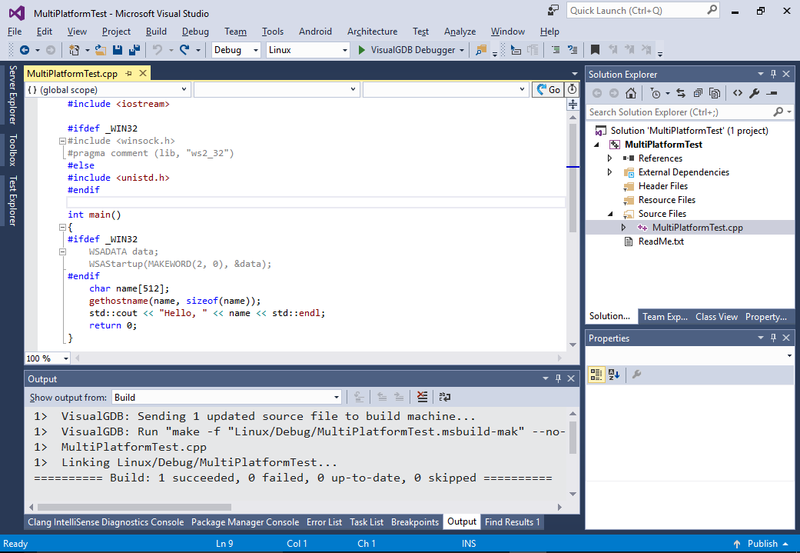 This tutorial shows how to create multi-platform Visual Studio projects with VisualGDB. 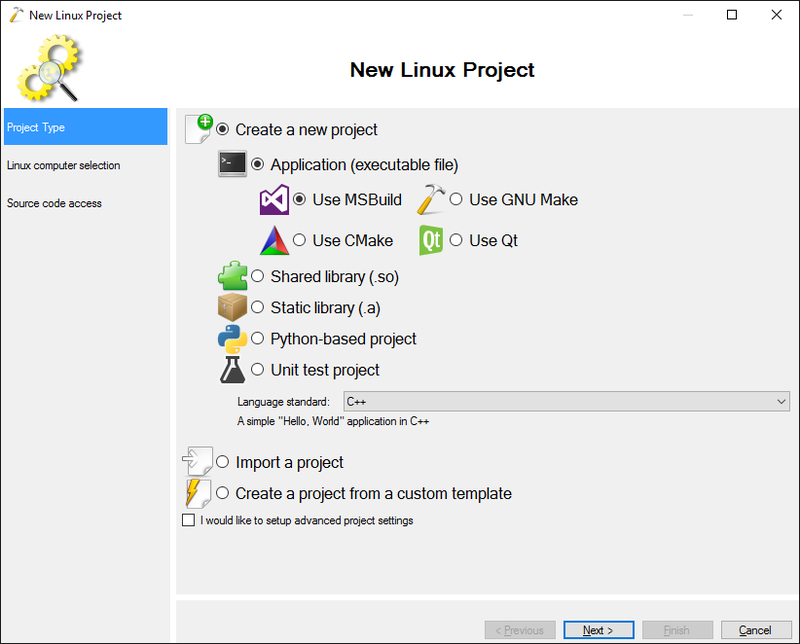 We will start with a basic Win32 console project and show how to add platforms for Linux, Android and a barebone ARM device (STM32). 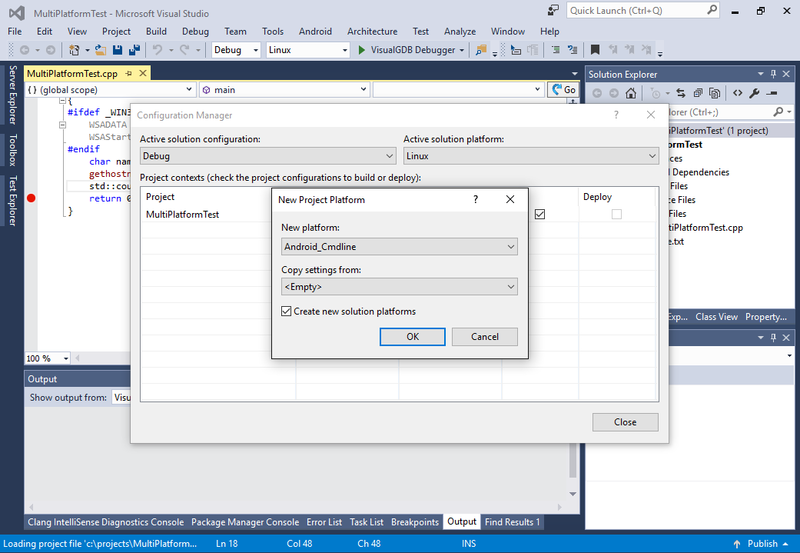 Combining multiple platforms in one project is an advanced task that requires editing several configuration files, so we will give a detailed explanation of the involved settings and will show all the necessary edits. 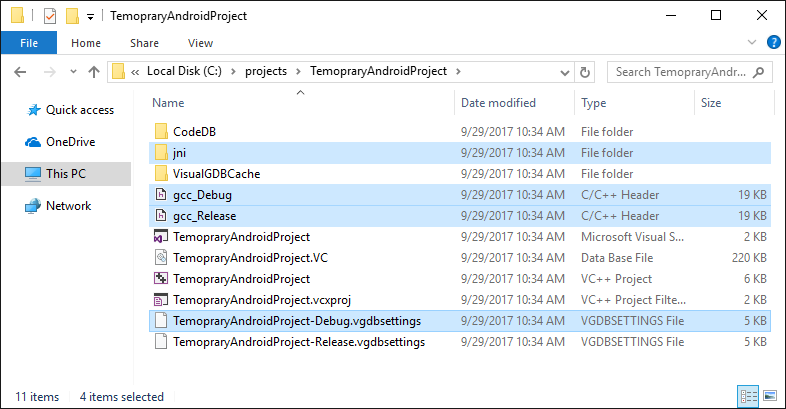 Before you begin, install VisualGDB 5.3 or later. 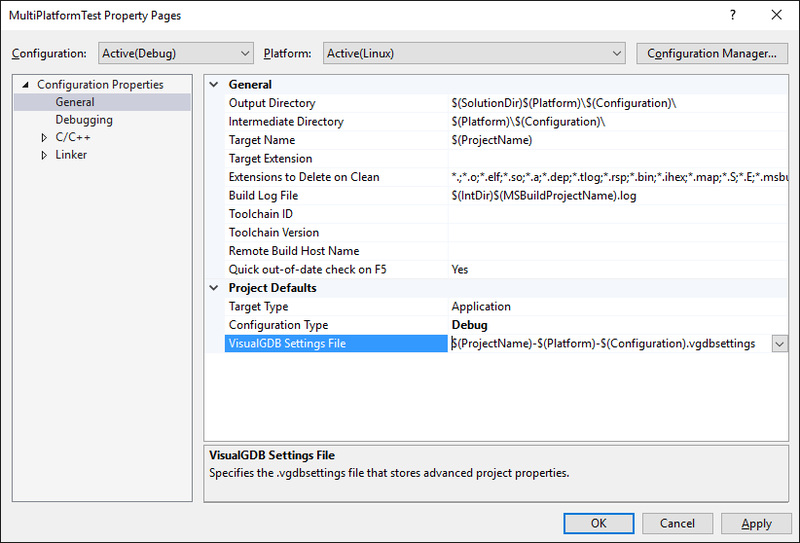 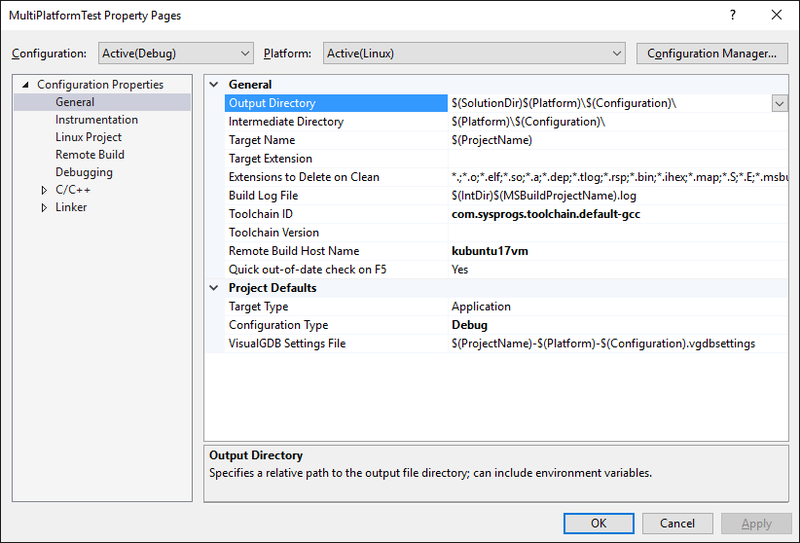 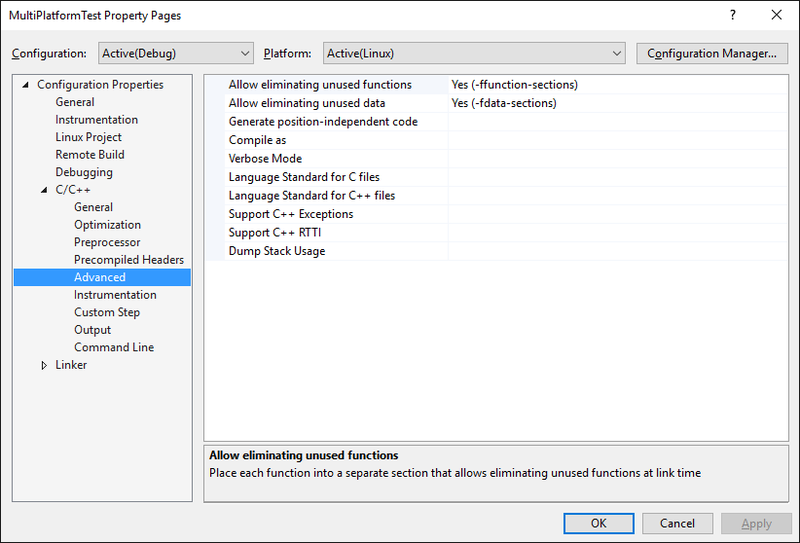 Open VisualGDB Project Properties and click the “Repair” link: VisualGDB will automatically fill the build/clean command lines in the Visual Studio project properties so that Visual Studio will run VisualGDB to do the actual build. 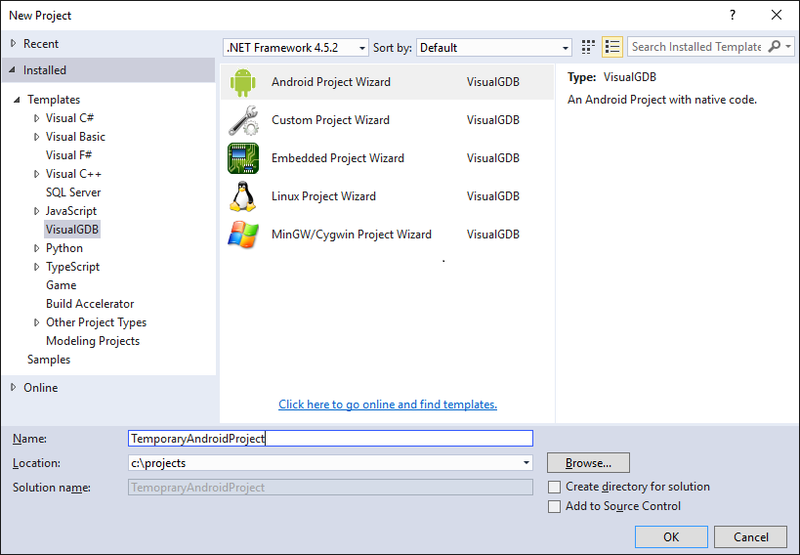 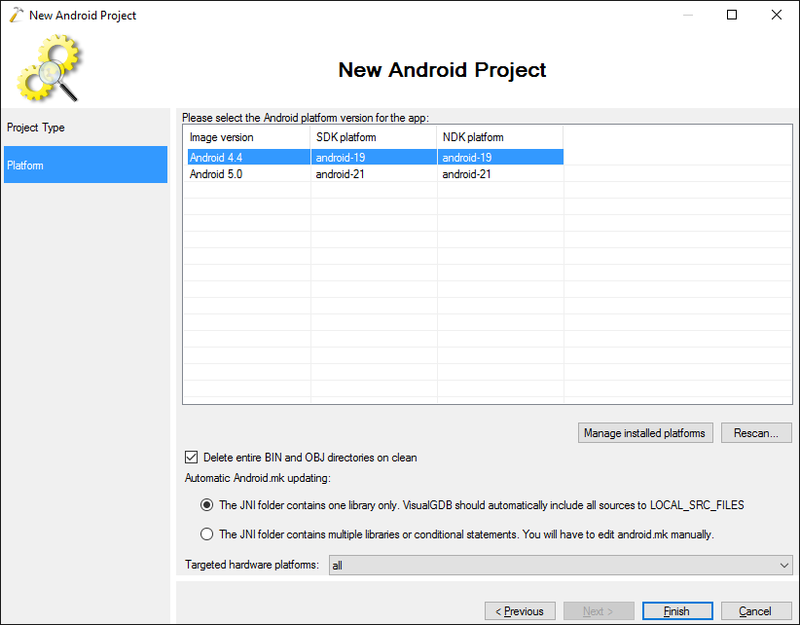 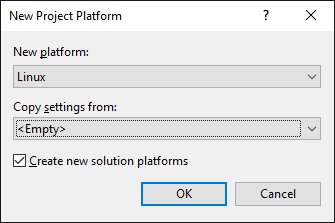 Finally press “OK” and build the project: See how the same project is now build using the Android build toolset. 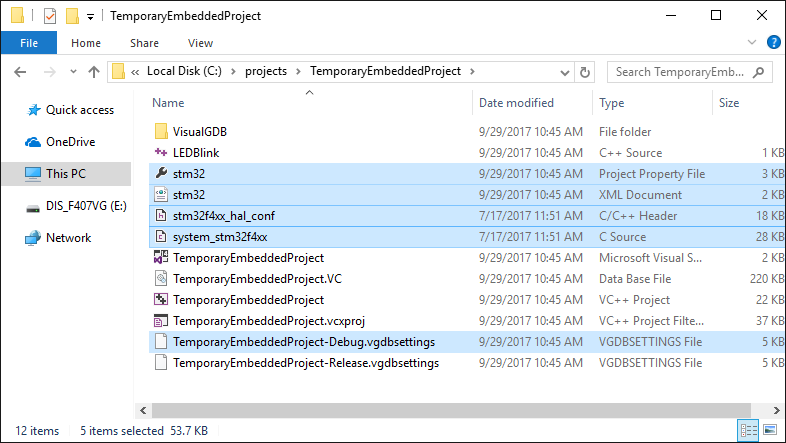 The project must include some MCU-specific files (e.g. 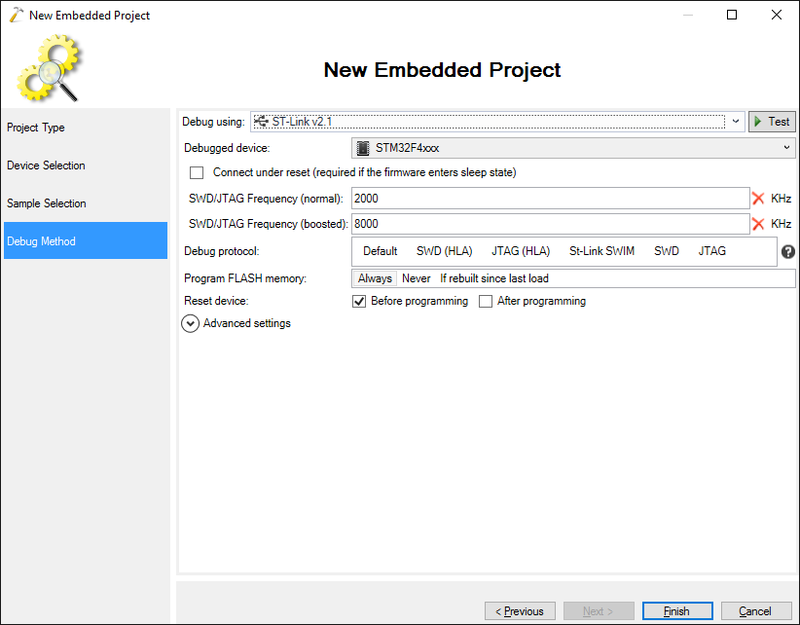 system_stm32f4xx.c). 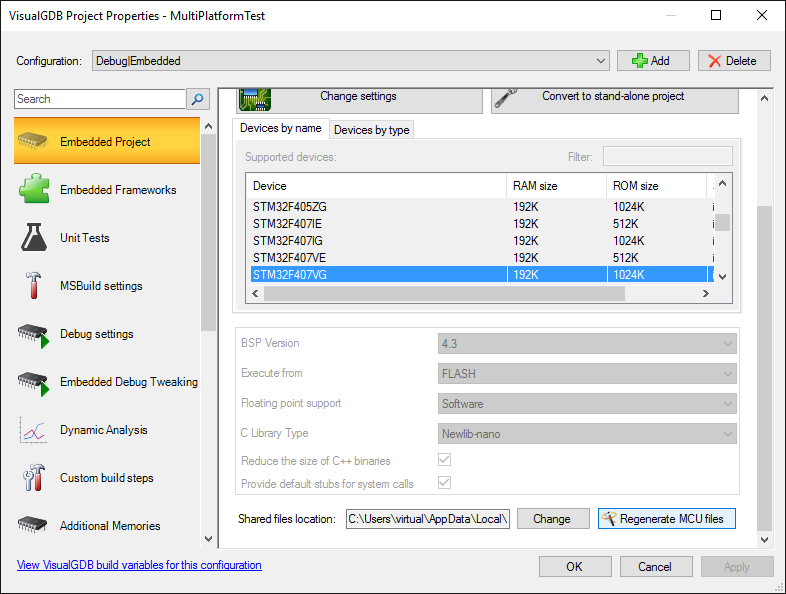 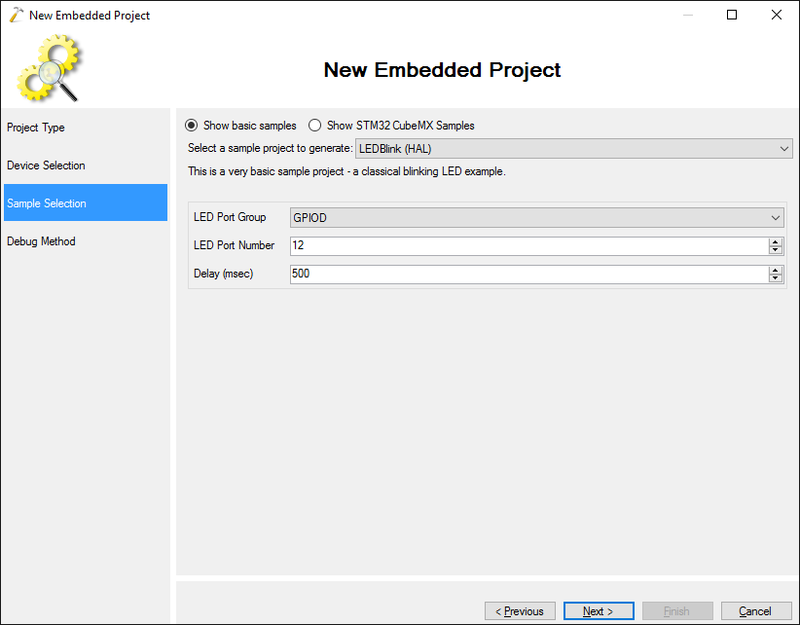 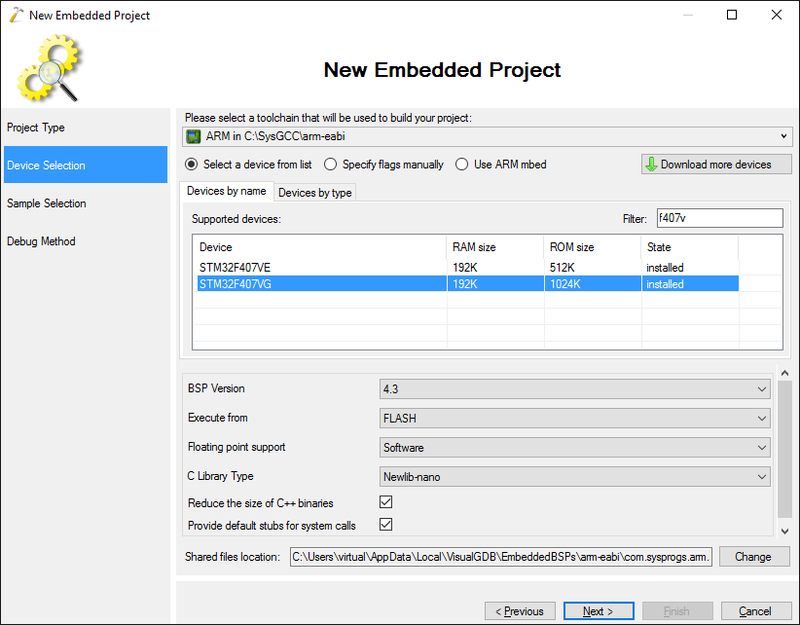 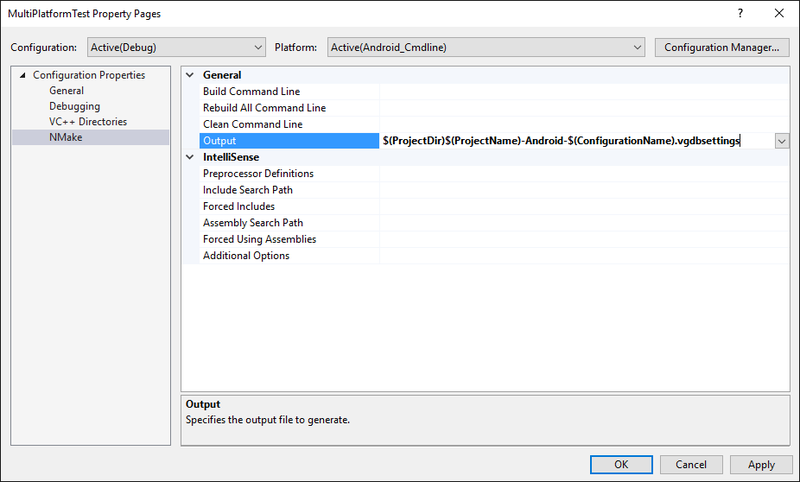 Android build system won’t be able to handle the BSP-specific paths of STM32 source files, so simply delete the “AutoUpdateSourcesInNextLine” line and list the Android-compatible files in the LOCAL_SRC_FILES line: Congratulations! 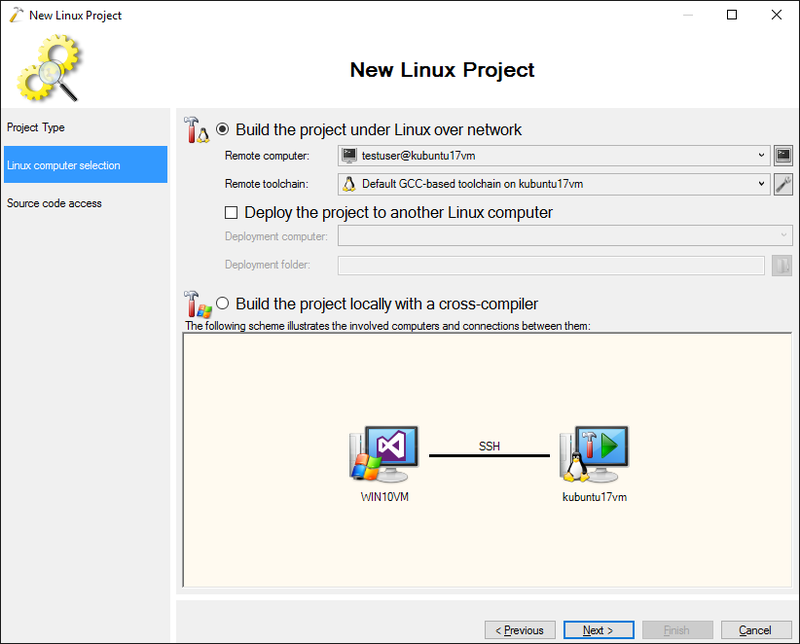 Now you can build the same project on 4 different platforms. 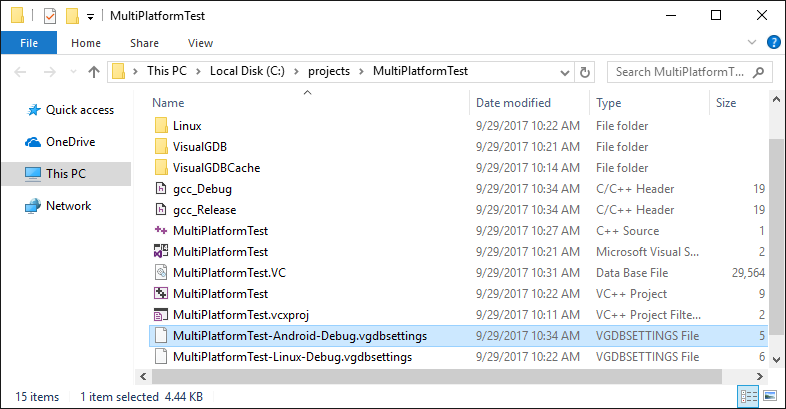 Configurations using VisualGDB MSBuild backend should be created within the ‘VisualGDB’ platform (or platforms copied from it). 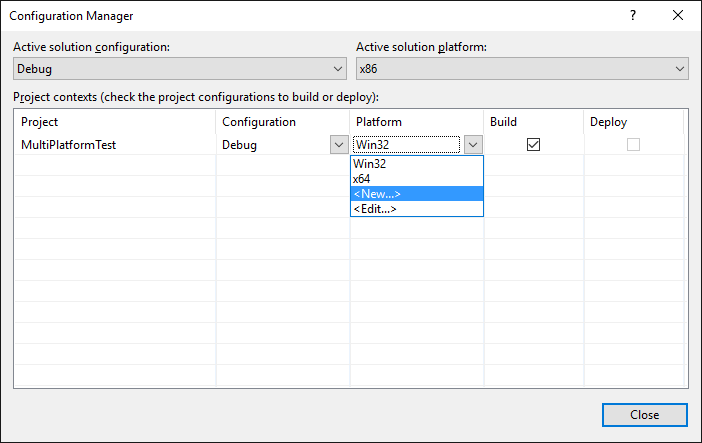 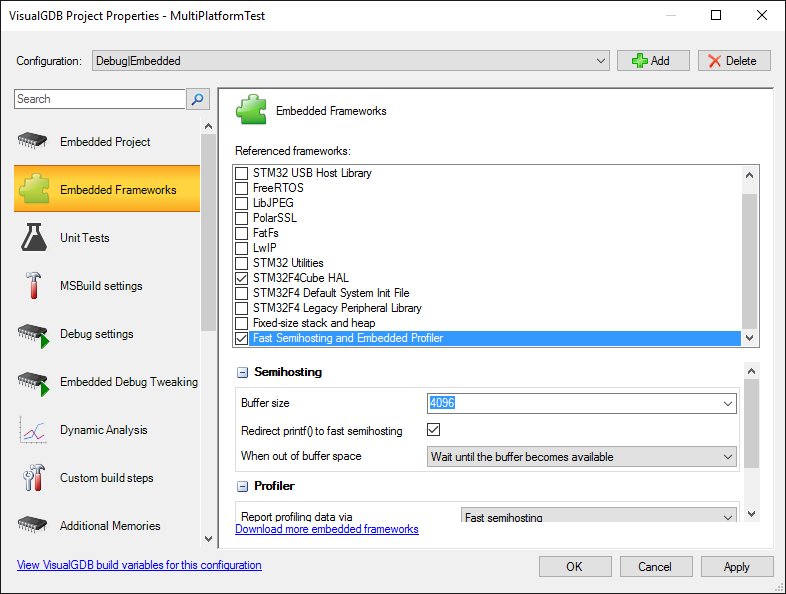 Configurations using other build systems (e.g. 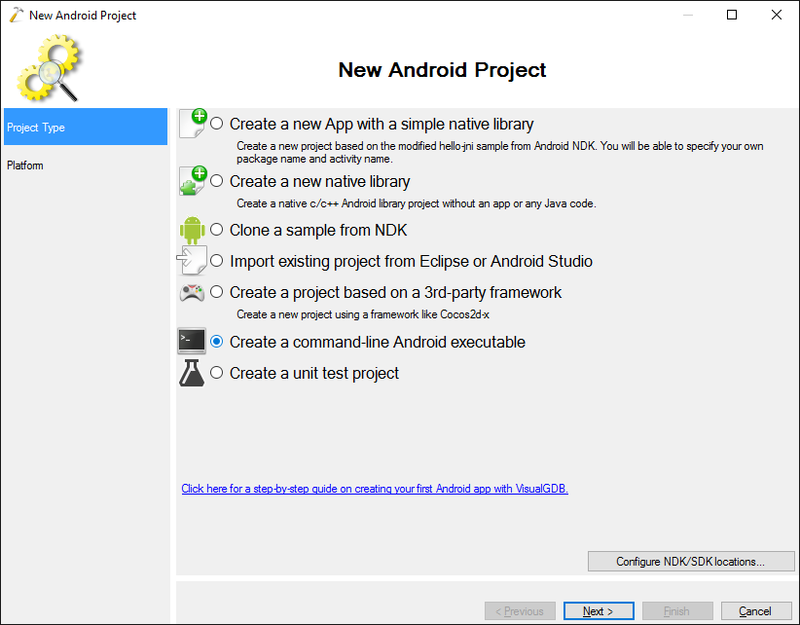 Android, Make, CMake or QMake) should be created within the ‘Win32’ or ‘x64’ platform and switched to ‘NMake’. 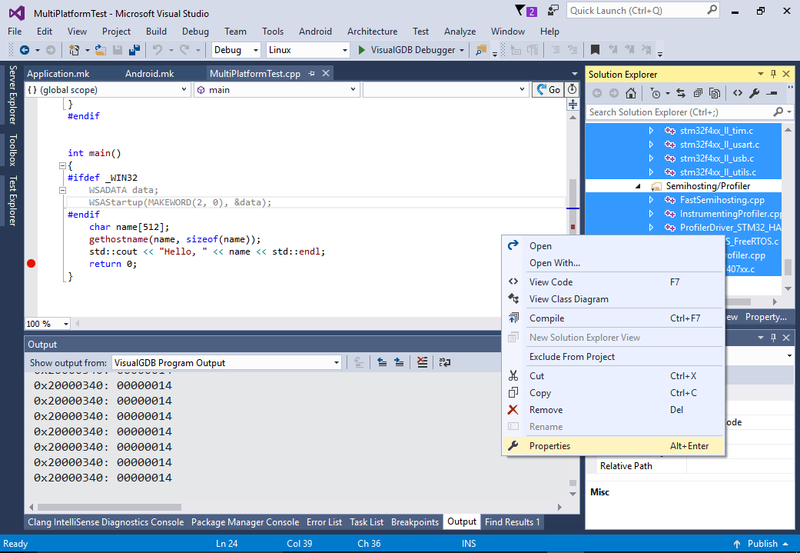 You can find the source code shown in this tutorial in our Github repository.